Joy That Lasts - Audiobook | Listen Instantly! 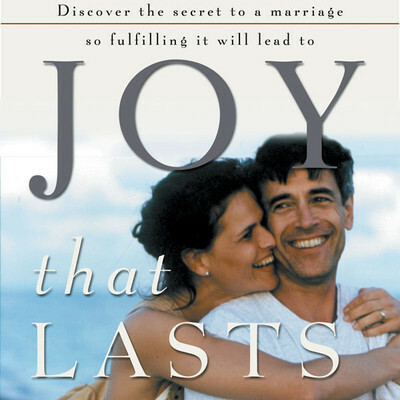 What would you give to have joy in your marriage? Not just happiness, but enduring, deep-rooted joy that weathers every storm? It's yours to have -- provided you go to the right source. Here's a hint: It's not your spouse. Like virtually every husband and wife, each of you entered your marriage with expectations of how your mate would meet your needs. Maybe you've discovered that the reality is a little different. Neither of you is capable of recharging the other person's joy battery. Only one power source is strong enough to provide an unfailing flow of the things you're really looking for -- and that's God. A rich, vital relationship with Jesus Christ will spill over into every other relationship in your life, especially your marriage. Joy That Lasts can help you make this a powerful, daily reality. Renowned family counselor, seminar speaker, and author, Gary Smalley shares with you five truths that can transform your marriage. Sharing frankly what he has learned from his own relationship with his wife, Norma, Smalley shows why both you and your mate need an energy source to recharge your spiritual batteries, someone to whom you can talk about anything at any time, an understanding of your emotions and what they mean, reassurance of meaning in your trials, and a shared mission you and your spouse can strive for together. "Of the fifteen-plus books I've written, this one is the most important," says Smalley. Discover why. Revised and expanded to focus specifically on your needs as a couple, Joy That Lasts can help you and your mate bring new life and fulfillment to your marriage -- by turning to God for the things he alone can give. Download and start listening now!
" i love this book, helps me a lot and i won't get tired reading this one. " Gary Smalley is one of the country’s best known authors and speakers on family relationships. He is the author or coauthor of many bestselling, award-winning books, along with several popular films and videos. The Blessing and The Two Sides of Love both won the Gold Medallion Award for excellence in literature, and The Language of Love won the Angel Award for best contribution to family life. All of his other titles have been top-five finalists for the Gold Medallion Award. He has appeared on national television programs such as Oprah, Larry King Live, Extra, and the Today show, as well as numerous national radio programs. He and his wife live in Branson, Missouri.